Local serviceman killed in live-fire training in Alaska. Annie McCormick has more on Action News at 5 p.m. on April 2, 2019. 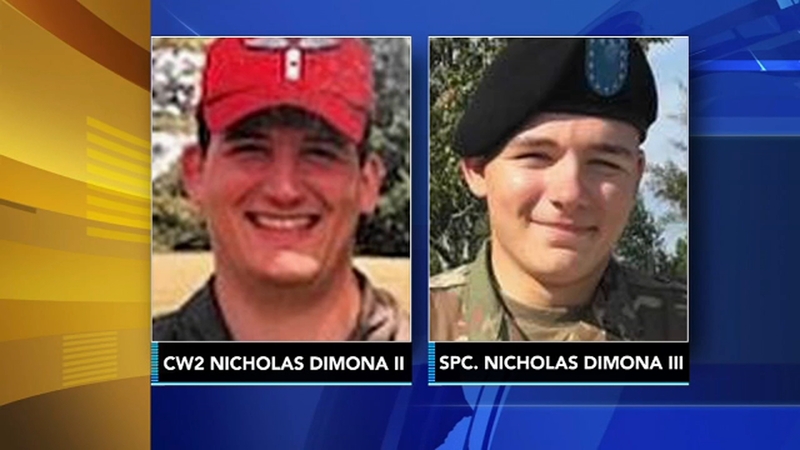 MEDFORD LAKES, N.J. (WPVI) -- An Army paratrooper from Burlington County, N.J., died during a live-fire exercise at a military base in Alaska, more than a decade after his father was killed in a helicopter crash during a training session. Twenty-year-old Nick DiMona III of Medford Lakes was killed near Fort Greely on Saturday. DiMona was assigned to the Army's 4th Brigade Combat Team (Airborne), 25th Infantry Division. 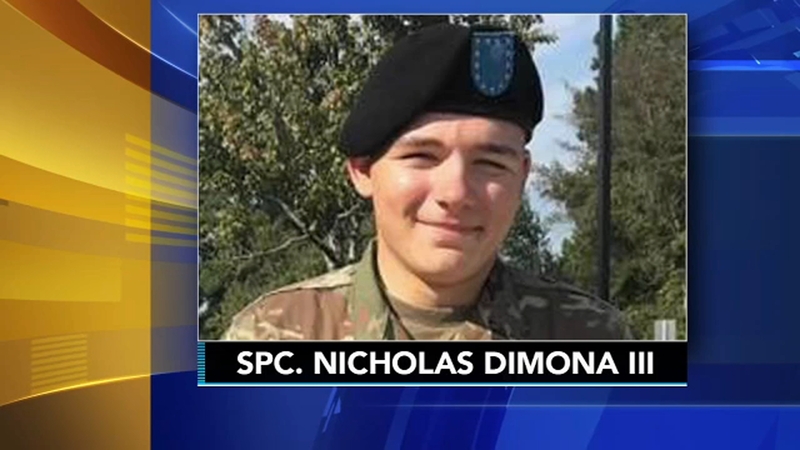 Nicholas' father, Chief Warrant Officer Nicholas P. DiMona II, also died during a training exercise. In June 2004, he was on his Apache Longbow helicopter when it crashed during a nighttime session in Ft. Stewart, Georgia. He was 32. 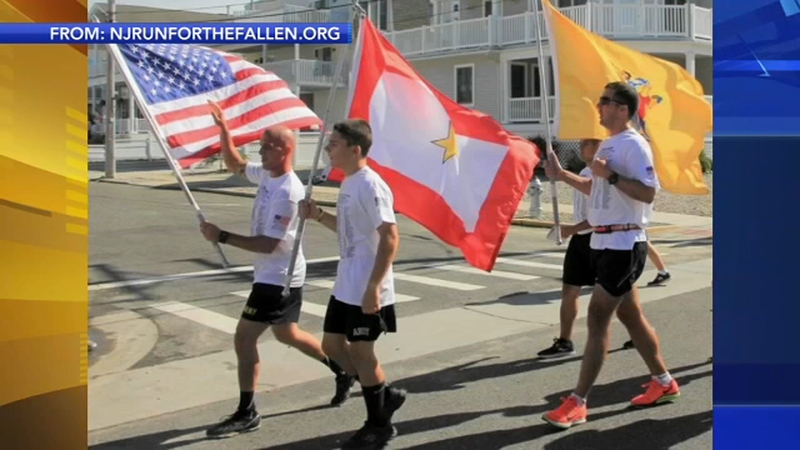 The younger Nicholas carried the Gold Star banner in his father's honor in the 2016 New Jersey Run for the Fallen. DiMona was a recent graduate of Shawnee High School. He enlisted in the Army following in his father's footsteps in 2017 and had been stationed in Anchorage since April 2018. 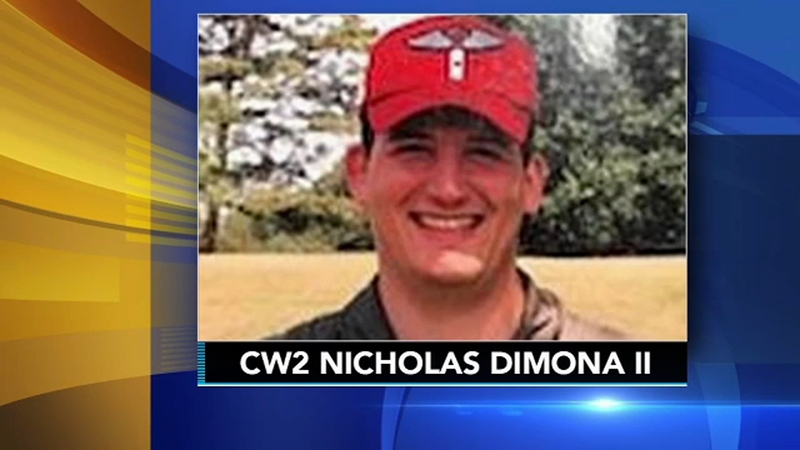 Family members told Action News DiMona wanted to join the military since he could walk. They said he was well-liked and spent a lot of his time at the YMCA of the Pines where he not only attended as a camper, but a counselor, too, even during his time off from the military. "We, at YMCA of the Pines, are heartbroken at the untimely and tragic death of 20-year-old Nick DiMona III. Nick practically grew up here, starting out as a camper and then joining the staff as a junior counselor, counselor, lifeguard and member of the School's Out staff. He volunteered here whenever he was on leave from the US Army. His mother, Melissa, is a member of our year-round staff and his sister is a longtime camper. Our entire YMCA of the Pines family grieves for him and for his beautiful family, Our CEO Mark Dibble said: 'Words can't really do justice to what a kind, caring and remarkable young man that Nick was.'" Army spokesperson John Pennell told The Associated Press Saturday's live-fire exercise was part of ongoing readiness training. He didn't know of any past similar deaths in Alaska during exercises. There is an open investigation in DiMona's death. Pennell said the investigation includes looking at anyone responsible for firing the fatal round.